Have you ever thought about how the process for buying land has changed throughout history? America’s earliest pioneers would wait for a single pistol shot and then dash forward by horseback and carriage to claim their land. Our office is in Washougal, WA, and the town’s earliest settlers,David and Ann Parker and Richard and Betsy Ough, squatted on property until their claim was made legal with the Donation Land Claims Act in 1850. The path to land ownership is more complex today but it’s still one of the most rewarding things that you can do when done correctly. 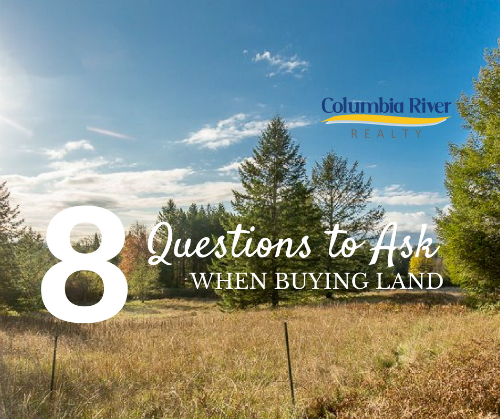 Today, I will share eight questions you should ask when buying raw land. Having answers to these questions and the guidance of our real estate brokers will help set you up for success. 1. Does the lot have a legal determination? A legal lot is a parcel of land that is consistent with zoning and platting laws in place when the parcel was created. Most parcels are legal lots; however, always ask your seller for information and talk to city or county officials before purchasing a lot. Often, the seller will already have obtained a legal lot determination, which costs about $350. If there isn’t a legal determination, the title company will not issue a commitment and the transaction will not go through. You can still purchase the property with cash, butit’s non-marketable land that could be difficult to sell down the road. 2. Does the lot have water? Finding a lot with a well or access to water will save you a lot of money. Clark County requires a well study to make sure that you’re not tapping into the neighbor’s well or a protected aquifer and they will provide you with an estimate for the cost of hook up. You will need to have a well drilled if the lot does not have a previous well or access to water. On average, it costs about $10-12,000 to drill a well. Well companies estimate the depth of the well based on well logs in the area and can tell you what they charge per foot. Often, you will need to ask a second company to come out with a pump, pipes, and holding tank. 3. Does the lot have a septic tank? Most likely, you can hook up to city sewer if the lot is in town and the public works department will give you an estimate for the cost of hook up. If you are building on a rural parcel, you will want to have the lot perked. A perk test measures permeability. 4. Does the lot have available utilities? Call the PUD to see what it will cost to bring utilities to your building site and determine if they are on the property or at the road. Phone and power may be at the road, but you are responsible for paying to bring them to your lot even if it is 5 miles down the road. 5. Is there a manufactured home on the property? Property with a previous or existing manufactured home or a home that has been removed is great for building on because they usually have an existing well, septic, and utilities. Make sure there is enough good water and the septic is large enough for your new home. 6. Is the building site on a hillside? You can catch some great views when you build on a slightly sloped lot. With that said, hire an engineer to perform a soil stability study to make sure that your home will not slide off the hill or that you won’t have drainage issues. A geo tech usually costs $1500-2500 depending on lot size. Also, bring your builder to the site and make sure that the land is appropriate for your home plan. 7. What kind of driveway will I have? Driveways are important to consider and often overlooked. Where do you plan to put the driveway, and do you want gravel or blacktop? Work with an expert so that you’re not surprised at how much it costs. 8. What are the impact fees? In the City of Washougal, impact fees for new construction are about $22,000. Even if you want to buy a rural lot, you still mustpay impact fees for fire, police, and school. Impact fees basically cover the additional burden that you and your family bring to the area. Charline Wright earned her real estate license in 2006 and opened Washougal’s first brick and mortar brokerage, Columbia River Realty, in 2013. Prior to real estate, she excelled in leadership and management positions and owned several at-home businesses. 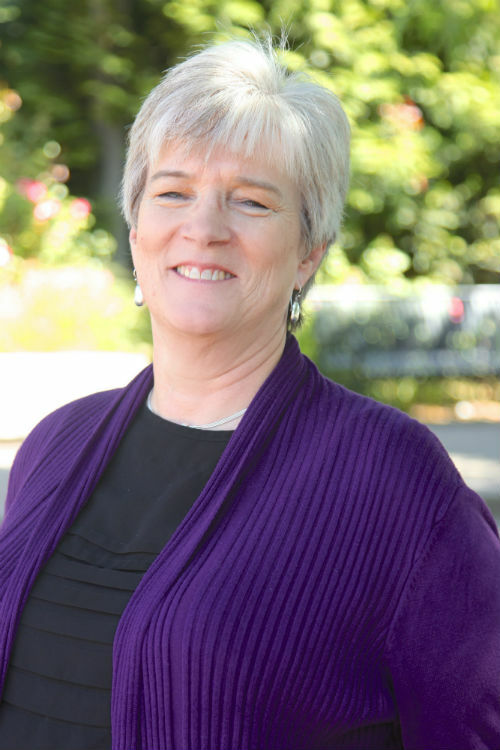 As a brokerage owner, she combines four decades of business knowledge with her passion for helping others achieve more than they thought possible and honors her roots by ensuring that homeowners and the local community continues to grow and thrive.